Two attorneys and a Saginaw County probate judge are among those honored by the Foster Care Review Board (FCRB) at its recently concluded 2010 conference. Saginaw County Probate Judge Faye Harrison received the Jurist of the Year Award for her work as a family court judge. Harrison, a past president of the Michigan Probate Judges Association, was cited for her leadership on the state and national level. Tracy Green, managing attorney of the Detroit Center for Family Advocacy, received the FCRB’s Parent Attorney of the Year Award for her representation of parents in child welfare cases. The Lawyer-Guardian Ad Litem of the Year Award was presented to Viola King, an attorney with the Juvenile Law Group in Wayne County. The FCRB, which was created by the Michigan legislature in 1981, serves as a statewide system of third-party review of the foster care system. The program is administered by the State Court Administrative Office, the administrative agency of the Michigan Supreme Court, and is comprised of citizen volunteers who serve on one of 30 local review boards throughout the state. Local boards review randomly chosen child abuse and neglect cases to assess the performance of courts, Department of Human Services and private child welfare agencies. 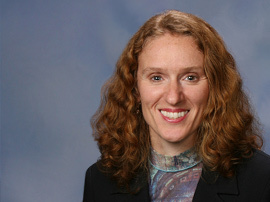 The Michigan Probate Judges Association has honored state Rep. Ellen Cogen Lipton as the group’s Legislator of the Year. The MPJA recognized Lipton’s legislative efforts on behalf of children and the mentally ill.
[A] bill that she introduced earlier this year, HB 6046, would make it easier for courts to order treatment for mentally ill persons before they harm themselves or others. This is the kind of proactive approach we need. Lipton, a freshman legislator, represents the 27th House District, which includes Berkley, Ferndale, Pleasant Ridge, Hazel Park, Huntington Woods and part of Oak Park in Oakland County. She is vice-chair of the House Judiciary Committee and also serves on the House’s Energy & Technology, Tax Policy, and Insurance committees.